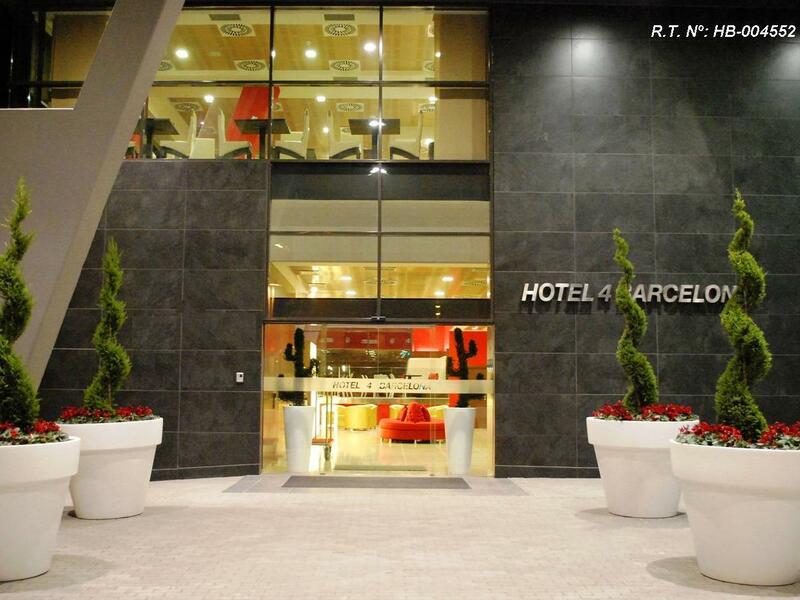 ﻿ Hotel 4 Barcelona Barcelona. JIMAT di Agoda.com! Ada soalan mengenai Hotel 4 Barcelona? Terletak pada kedudukan yang baik di kawasan siar-siar, beli-belah, pantai di bandar Barcelona, Hotel 4 Barcelona menyediakan tempat yang paling sesuai untuk anda berehat seketika dari kesibukan hari anda. Hotel ini terletak 4.0 km dari pusat bandar dan menyediakan akses kepada kemudahan bandar yang penting. Bagi anda yang ingin pergi agak jauh, Poblenou Cemetery, BD Barcelona Design, El Poblenou merupakan beberapa daya tarikan untuk pelawat. Di Hotel 4 Barcelona, perkhidmatan yang cemerlang dan kemudahan yang unggul menjadikan penginapan anda tidak dapat dilupakan. Untuk menamakan beberapa kemudahan di hotel ini, terdapat Wi-Fi percuma semua bilik, fasiliti tetamu kurang upaya, Wi-Fi di tempat awam, tempat letak kereta, khidmat bilik. Semua penginapan bagi tetamu menawarkan kemudahan yang difikirkan dengan teliti bagi memastikan rasa selesa yang sukar ditandingi. Kemudahan rekreasi hotel, yang termasuk seperti pusat kecergasan, sauna, bilik wap direka untuk anda melarikan diri dari masalah dan bersantai. 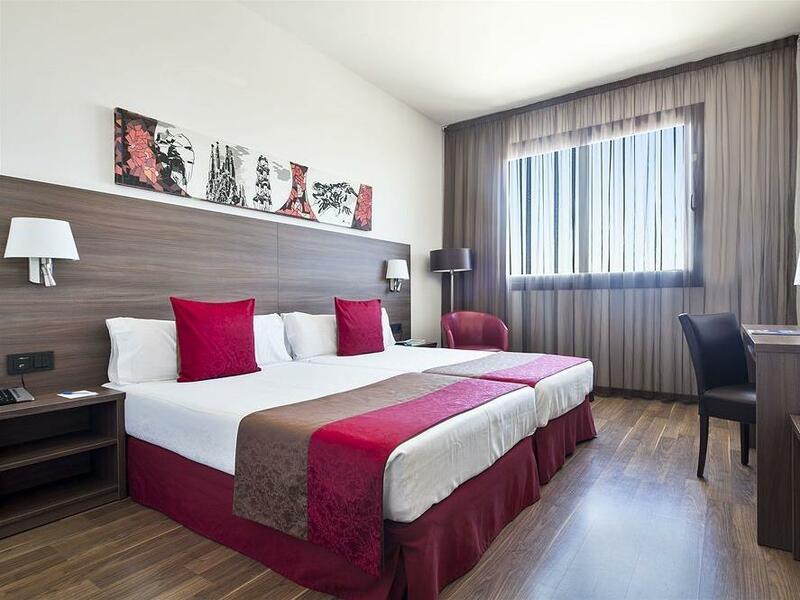 Dengan lokasi yang ideal dan kemudahan sepadan, Hotel 4 Barcelona sangat memuaskan hati. It was pleasant stay with the hotel, very close to the sea side, can walk down to the sea. Satisfied with the stay. Near to the sea and not far from bus station. Clean room. Not as close to the beach as expected... and thats the main reason for choosing this hotel. area was not so amazing.. i think there are better places in barcelona, even though the price was ok. and they charge extra to use their own gym! Stayed in Poblenou a number of times at similar hotels. This has been my favourite. Location to the metro is great and is just around the corner from the Rambla del Poblenou which has many bars and restaurants. Access to the beach is a little harder this side but is still a short walk. I was impressed with the hotel, the room was nice and was cleaned every day with fresh towels and toiletries. The reception staff were very helpful. We didn't use the bar or restaurant as we went out a lot but couldn't fault the facilities. I think the Hotel 4 lives up to its 4 star rating and it exceeded my expectations of a traveller hotel in a popular destination. Would definitely recommend staying here based on this experience. Disappointed of my stay. This hotel certainly doesn’t meet the 4 stars standards. Rooms are dirty and poorly decorated. Staff isn’t friendly. I wouldn’t recommend it. Drainage of wash bin too slow. Matress too flat. Control of TV not working. The hotel is good. 5min walk to the beach 1min to bus stops, 5min to metro stop. They missed mentioning that its directly next to one of Barcelona city morgue. Doesnt make any differance but worth mentioning. We had a really comfortable room with sea views. 10 minutes from the Metro station and close to the beach. We would definitely stay here again. location is near beach and quite, not crowed, so suitable for couple, facility is simple, room is not big but clean. If you book Hotel don't think to book this unprofessional expedience I have .If we won to stay in 4 Barcelona and book is my Choice is not them , I had reservations to stay but they move me to smal hotel and cheep for tha same monny ,and I have to figure out To gat to 1 .5km that hotel ,is in professional .i won my money back ,I book hotel I wot to spend the night on my trip.I don't like to be thret like sheet and keekout for les money .We our in 21 Century Don't discriminate The people .